Auburn held their Pro Day for the players hoping to have a shot in the upcoming NFL Draft. 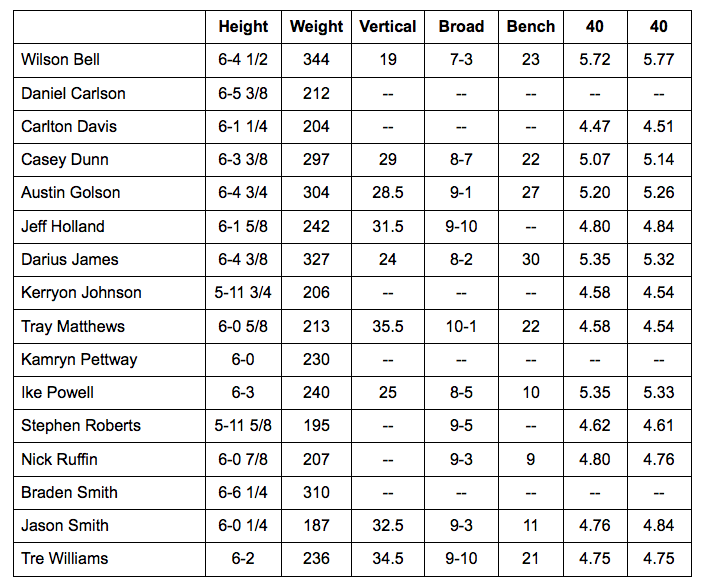 Below are the measurable for the work outs that each player participated in. These Tigers will see if their hard work pays off on April 26th in the NFL Draft.